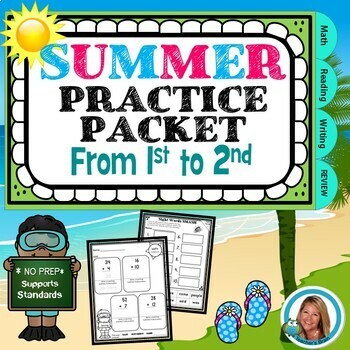 Are you looking for a PRINT and GO packet for your students to use over the summer with their parents or tutors? I have you covered with this packet! Check out the preview. 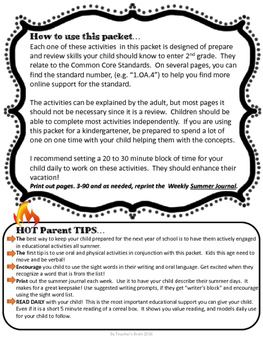 ►Each one of these activities in this packet is designed of prepare and review skills your child should know to enter 2nd grade. They relate to the Common Core Standards. On several pages, you can find the standard number, (e.g. “1.OA.4”) to help you find more online support for the standard. The activities can be explained by the adult, but most pages it should not be necessary since it is a review. Children should be able to complete most activities independently. 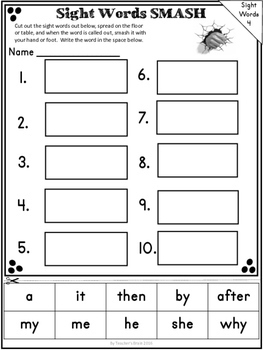 If you are using this packet for a kindergartener, be prepared to spend a lot of one on one time with your child helping them with the concepts. I recommend setting a 20 to 30 minute block of time for your child daily to work on these activities. They should enhance their vacation! Print out pages. 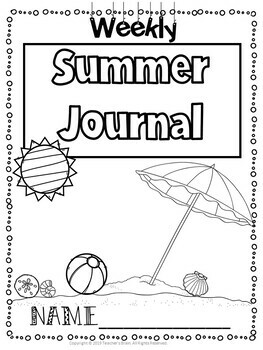 3-90 and as needed, reprint the Weekly Summer Journal. It includes tips for parents and helpful suggestions.